It took less week to arrive. 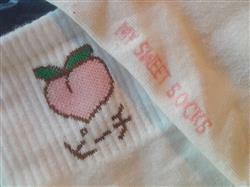 I really love this socks, they're cute and just as the picture! Even the design is well made, the fabric is soft. 100% recommended ! 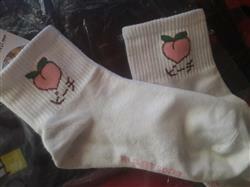 The item was delievered fast and the socks fits me perfectly! I was expecting it to be small but it wasn’t :) I am very happy with what I have purchased. The socks are so cute! love them! i would buy them again!